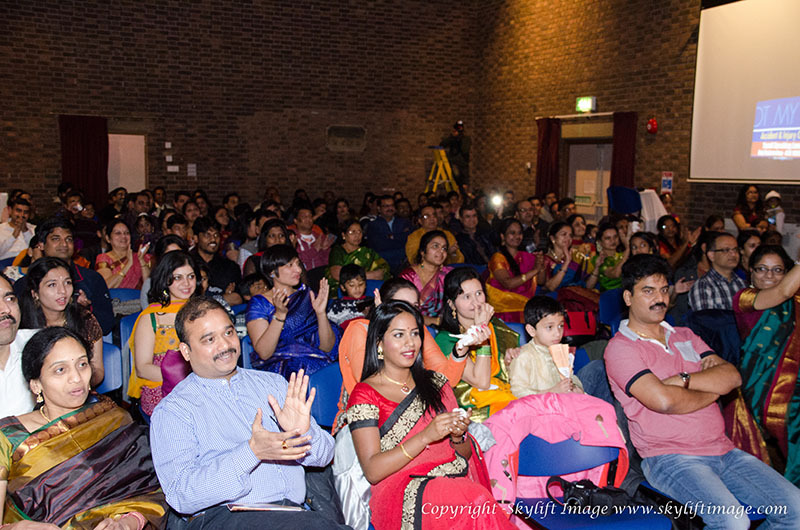 Slough Tamil Sangamam (STS) celebrated its 3rd Pongal Event on 17th January 2015 at Iver Village Hall. Pongal is a Tamil harvest festival which commences on the last day of Tamil month Maargazhi (Bhogi festival) to the 3rd day of Tamil month Thai. It is one of the most important festivals celebrated by Tamil people in Tamil Nadu, India. These days coincide with Makara Sankranthi which is a winter harvest festival celebrated throughout India. Technically, this day marks the start of sun’s six-months long journey northwards. Pongal is mainly celebrated to convey the appreciation and thankfulness to the Sun (God) as it provides energy for agriculture and other livelihood. Program was inaugurated by STS executive member Jayamani with Kids’ prayer song. 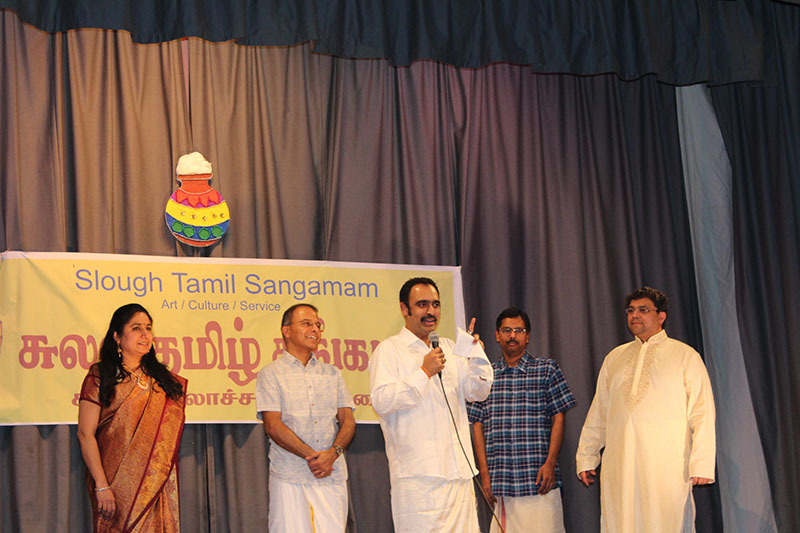 STS executive member Srinivasan introduced Chief Guess of the event Ms.Uma Kumaran (MP candidate – British Labour Party) who preside the event. New logo for STS was inaugurated by the chief guest with her introductory speech. Ms.Uma is the first Tamil contestant for the UK MP election history. STS executive member Mohan detailed the context and motto of STS logo. Mr.Ramesh Vudathu (Telugu NRI Forum – President) cheered up the event. Pongal event took off with cheerful compering by both Shoba and Shyamala. 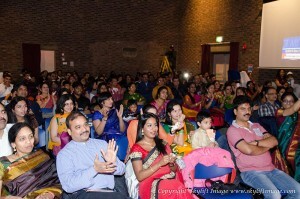 Guests were filled with joy and were seen with colourful Tamil customary costumes. STS Founder Shailaza Jayamani organised a smart event schedule giving opportunity among all different age group to demonstrate their unique talents. Multi faceted programs include variety of Indian classical dances i.e Bharatha Natyam, Banghra, Fusion, musical play, skit, etc were enjoyed by the crowd. Program was concluded with pongal special dinner and followed by vote of thanks.